This is a two-part series and you can check out part one of ‘22 things you must know before visiting Eilat’ here. While the observatory offers a ‘hands-off’ experience, intrepid visitors can take advantage of the incredible opportunities for both snorkelling and diving at the Coral Beach Nature Reserve. You can easily rent equipment and choose to dive solo or, for first-timers, follow the lead of an instructor. It isn’t massively cost-prohibitive either – your admission fee will enable the nature reserve to be maintained and preserved. Pro tip: if you’re after a free snorkelling site, walk 2km (1 mile) south to a spot opposite Hotel Princess. Journey away from the coast and you’ll find a gorgeous, mountainous landscape littered with intricate and satisfying hiking trails in the Eilat Mountains Nature Reserve. 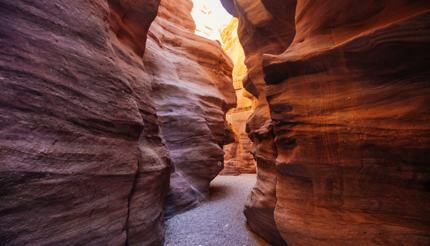 Perhaps the most popular of the trails goes through the Red Canyon, named for its beautiful, red-coloured rocks. The route takes you to a breathtaking lookout point where you can see Israel, Egypt, Jordan and Saudi Arabia all from the same vantage. Every November, the desert north of Eilat hosts the Arava Yoga Festival where yogis from around the world partake in serenely located workshops. The festival culminates in a joint session at the foot of Solomon’s Pillars in Timna Park, which is followed by celebrations, great food and live music. If you’d rather feel the coastal breeze and have the sound of the sea as your soundtrack, yoga sessions can also be found on the Dan Promenade every Sunday, Tuesday and Friday morning. Covering more than half of Israel, the mighty Negev desert is littered with eco-minded Kibbutzim (collective communities) where men and women work relentlessly to coax life from the arid land – building greenhouses, harnessing solar energy, managing eco-tours and running guest-houses. Kibbutz Ketura (50km/ 31 miles) north of Eilat is a worthy diversion – it has Israel’s first photovoltaic solar panel field (also the first to be cleaned automatically by robots), an innovative algae facility, and is also home to Methuselah, a date palm grown from a 2000-year-old seed discovered during Prof Yigal Yadin’s excavations at the archaeological site of Masada (King Herod’s mountaintop fortress) in 1960s. Eilat makes an ideal place for those who love all things aquatic, be it swimming, snorkelling, water sports or just splashing about in the ocean. In terms of water sports, the city offers everything from water skiing and paddle boarding to banana boating and tubing. Thousands of migrating birds use the freshwater spots around Eilat as pit-stops during their migration journeys across the Saharan desert. You might catch a sight of flamingos, kingfishers, steppe eagles and/or black kites. 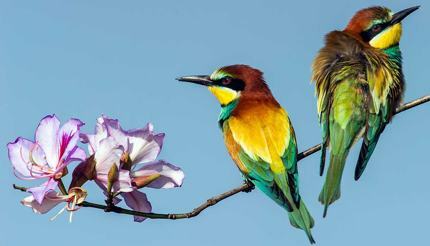 Eilat Ornithological Park is the best place for keen bird watchers. While there’s no admission fee, you can pay for a guided tour. Israelis love to let their hair down and although nightlife in Eilat is a bit more muted than Tel Aviv, there are still plenty of great places to party. Crazy Elephant (HaMasger 5) is one of Eilat’s trendiest venues with a steady diet of dance music. Alternatively, check out the Three Monkeys Pub (Dereh Pa’amei HaShalom 23), Eilat’s oldest pub made famous for its passion for 80s and 90s music. 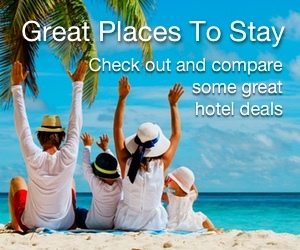 Most hotels also offer nightly shows to keep their guests well-entertained. Israel’s currency is the Israeli New Shekel (ILS) which has remained relatively stable for the past two years, sitting somewhere between 3.40 to 3.75 ILS for every US$1 and 4.50 to 5 ILS for every £1 respectively. You’re usually able to get better exchange rates when converting your currency into Shekel in Israel. ATMs are also widely available, meaning you won’t have any problem withdrawing money when you need it. You’d be forgiven for thinking that bringing a small piece of fruit in your hand luggage would be harmless, but Israeli customs is strict. Prohibited items include raw meat, bananas, pineapples and all fruits and vegetables from Africa. For a list of prohibited items, see the money and duty-free for Israel guide. 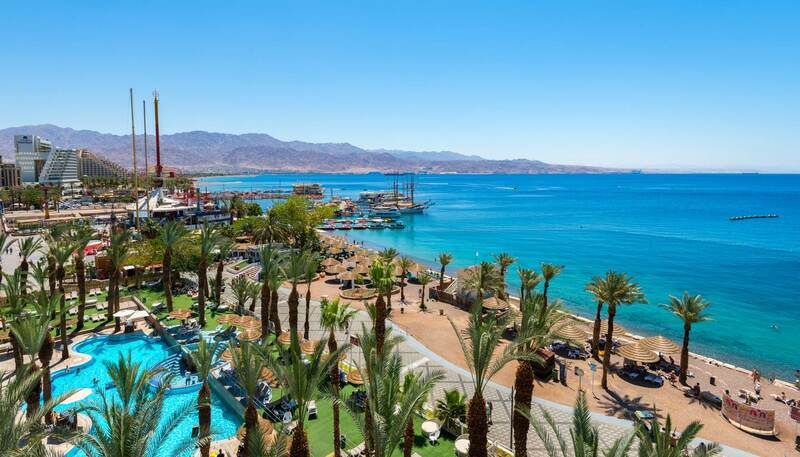 If you like intense heat, Eilat sizzles in the summer (June to August) with an average high temperature of 40°C (104°F) – very toasty indeed. Spring (March to May) and autumn (September to November) are considered a good time to visit Eilat as the weather is pleasant with plenty of sunshine. The average high is 24°C (75°F) in April and 26°C (79°F) in October. For Europeans who like to use sun and fun as a way to beat the winter blues, Eilat is a great destination as temperatures hit an average high of 20°C (68°F) and rarely dip below 10°C (50°F) between December and February. Shabbat is a rest day in Judaism. As a thriving tourist destination, some shops in Eilat remain open, with a few taxis continuing to operate and major hotels still catering to guests. However, you may notice a few quirky things like the buffet spread being visibly smaller on Shabbat and dedicated Shabbat elevators – which work automatically as the Jewish law prohibits Jews from operating electrical switches on this day. Before you go, see the complete Eilat travel guide. This is a two-part series; you can read part one of ‘22 things you must know before visiting Eilat‘ here.